Two sisters. 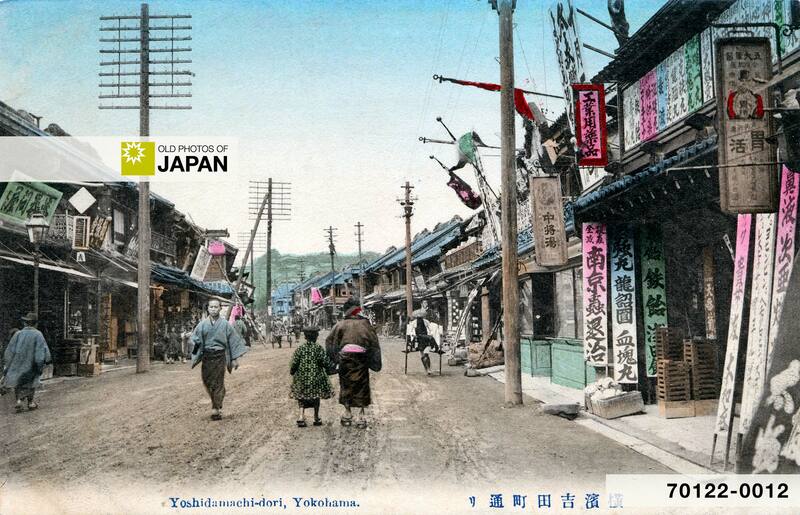 Hand tinted Showa period photograph of the late 1930s from the Hanaya Kanbei Studio in Ashiya, Hyogo Prefecture. 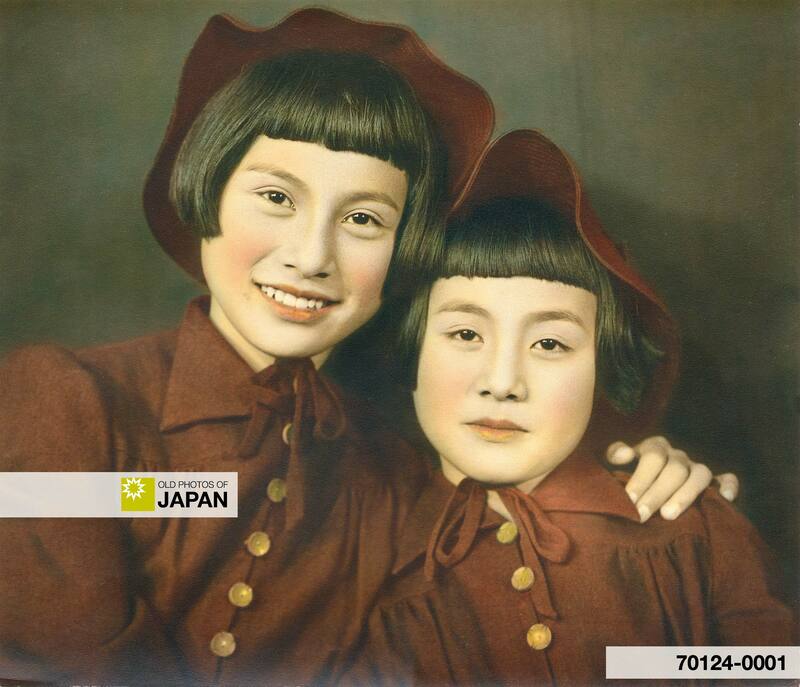 These two cute girls are actually this famed photographer’s daughters. Naniwa Bridge in Osaka, Japan. 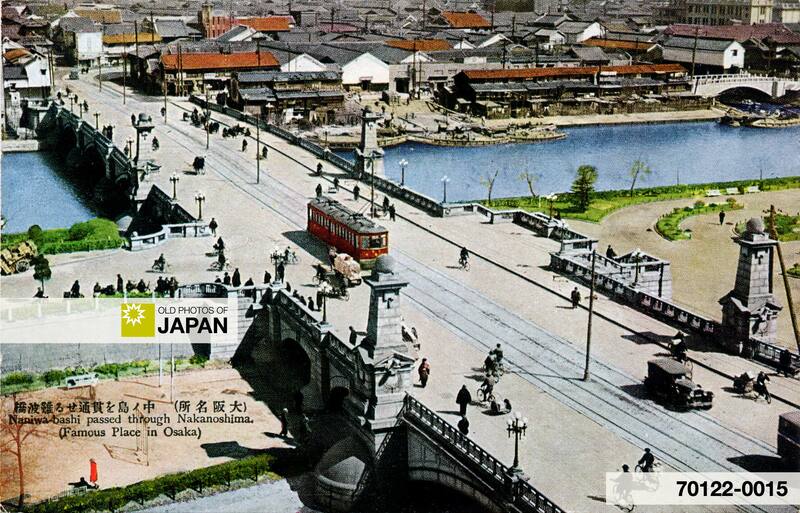 The bridge spans the Old Yodo River and was completed in 1915. Naniwa Bridge was, and still is, well known for its lampposts and stone statues of lions. It featured impressive stone steps leading to Nakanoshima Island and Nakanoshima Park. It still stands and is one of the oldest Western style bridges in Japan. People pass by shops on a quiet Yoshidamachi-dori. On the right is a drug store advertising goodies like Chujoto women’s herbal supplement tea, bedbug extermination and industrial use chemicals. Sounds like a fun store to visit. 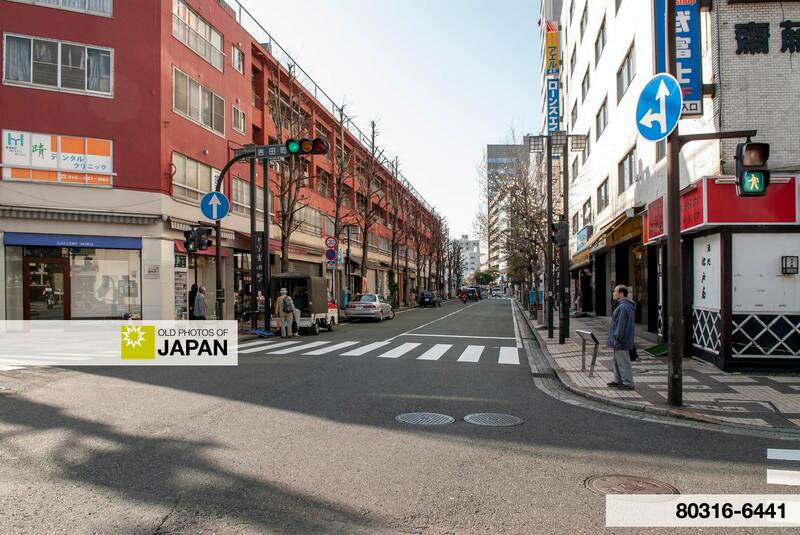 Although quiet on this postcard, Yoshidamachi-dori was actually perfectly located and a popular street to go shopping. 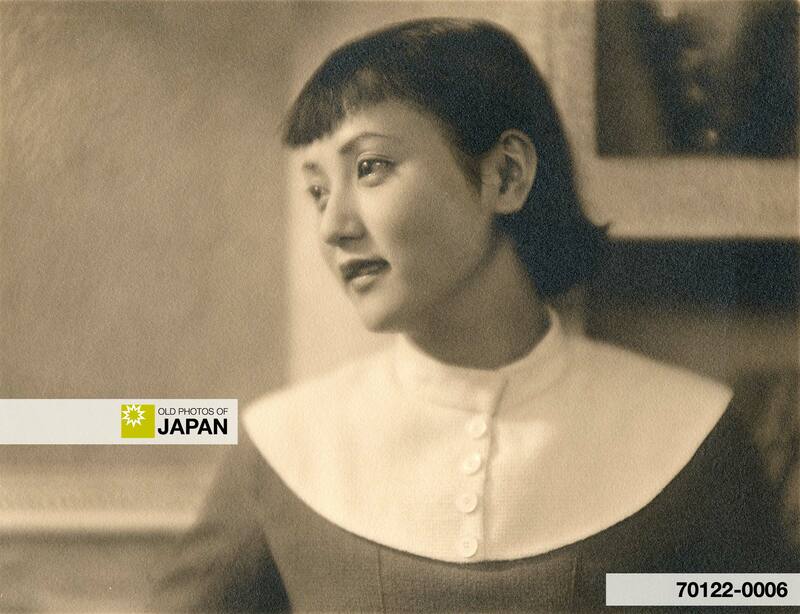 A confident young Japanese woman in modern dress and hairdo during the early Showa Period (1926-1989). 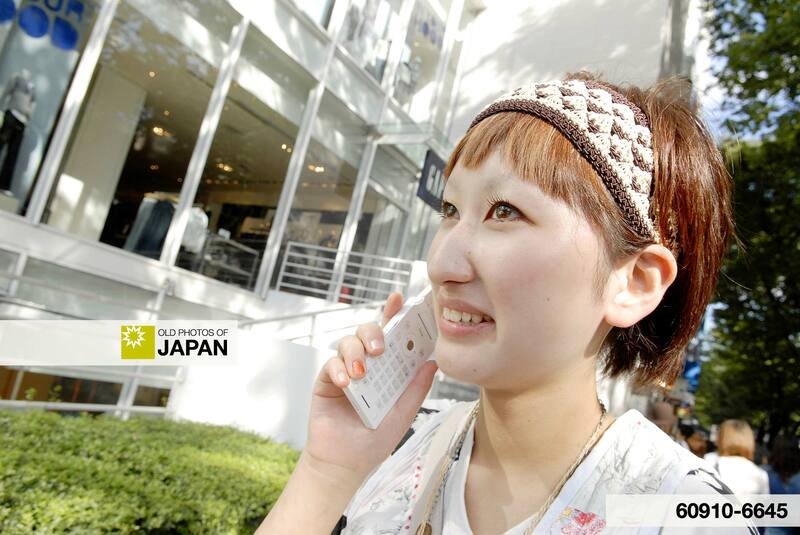 Japanese women first started to experiment with Western fashion during the Meiji Period (1868-1912). By the 1920s, the trendy moga (modern girl) sporting the latest Western fashion and short fashionable hairstyles, had made her entry. (Inset shows current Japanese hairstyle).